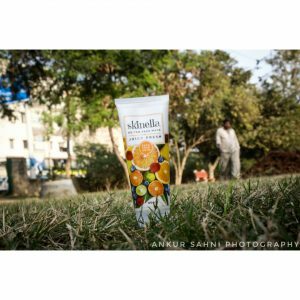 Today I will be sharing my honest reviews on the Skinella products that I have been using from past 3 weeks. 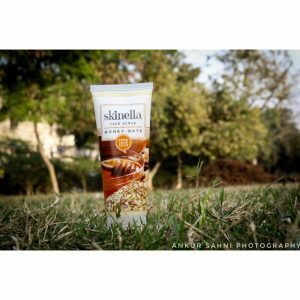 Skinella is a skincare brand that develops a wide range of skincare products, made up with the natural power of super- foods so that you can feed your skin pure beauty without the baggage of chemicals. The products are 100% natural and are really beneficial for the Skin. The brand cares about your young skin needs and helps you feel supernatural. I am really obsessed over the Skinella products. The Honey Oats Face Scrub is a stunner, it feeds your skin with honey and natural goodness of oats. A healthy meal for your skin, oats gently unclog pores and removes dirt and honey deeply moisturizes and hydrates your skin. The honey and oats scrub pamper your skin really well. I liked the divine fragrance inculcated in the scrub. 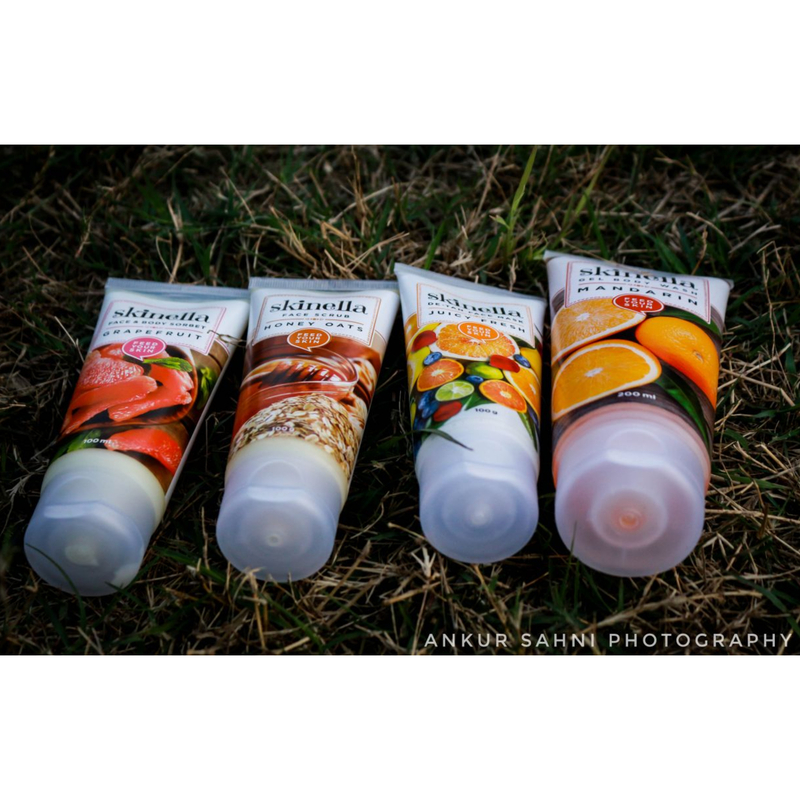 The scrub is creamy and soft and cleans the face well. You can feel the heat coming out of your skin which suggests that the scrub is working well on skin pores. DIRECTION FOR USE – Gently massage over wet face and neck using light, upward and circular strokes. Rinse off with water and pat dry. Use once or twice a week or as required. Say hello to the gorgeous soft skin with grapefruit face and body sorbet. Made up with grapefruit extracts, this extra light lotion glides smoothly on your skin leaving it soft and deeply moisturized. Use the skinella grapefruit and body sorbet twice a day to get a radiant, glowing and healthy looking skin. The texture of the sorbet is soft, less creamy and has a fragrance of natural grapefruit. DIRECTION FOR USE – Apply the Sorbet gently over your face and body ideally after bath to retain the delicate moisture level of the skin. For best results, use twice daily or as often as necessary. Mandarin gel body wash transport your senses to a tropical paradise. Gel body wash, which is a tangy, zesty blend od mandarin and Canadian willowherb extracts. This revitalizing body wash will rinse away daily impurities and replace needed essential oils , while keeping your skin hydrated nourished and fresh all day long. Its fragrance is really overwhelming. The texture is quite thick making it easy for you to use. DIRECTION FOR USE – Apply a little body wash on your wet loofah. Gently rub the loofah over the moist skin. For the best results, use a loofah to work up rich, fragrant lather before rinsing off. Skinella DE- TAN face mask will protect your skin from sun exposure. It helps clear away the impurities, tan and sun damage effectively. This illuminating De-Tan Face Mask also conditions your skin, revealing your inner glow. You can apply it twice a week or more to reveal a flawless tan-free skin. DIRECTION FOR USE – Apply evenly over cleansed face, avoiding the area around eyes. Allow it ti dry for 15 minutes. Remove with cold water or a wet sponge and pat dry. The after results are really good. My 3 weeks with Skinella products were heaven. I felt the real change in my Skin. More glow, More dirt free, More refreshing and More Younger. I loved using the products and will continue using them. Skinella is the secret of my rejuvenating skin and whats yours? 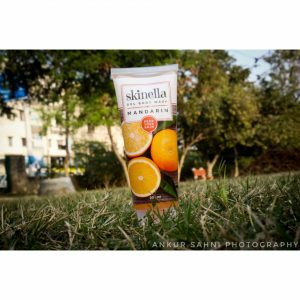 Order your skinella products now and share your reviews with me. Would love to know your response.